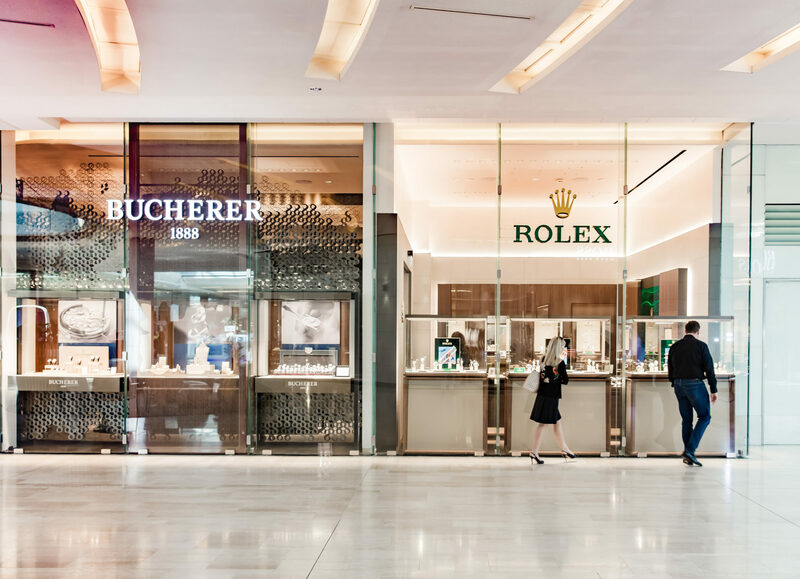 Bucherer has almost trebled the size of its store in West London’s Westfield shopping centre, and now dominates a prime corner position at the luxury Village area of the mall. Competition is heating up at Westfield thanks to a major extension anchored by the UK’s largest John Lewis department store. 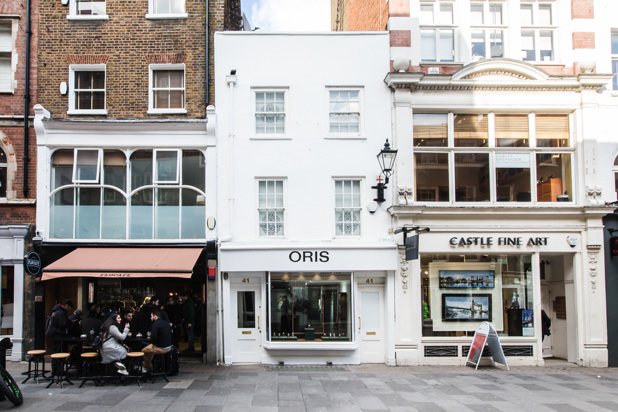 The area around Westfield is also improving, particularly with the nearby redevelopment of the old BBC headquarters into swanky apartments, offices, restaurants and even a Soho House hotel. That has attracted several brands to open monobrand stores — franchised concept stores with partners — including Breitling, TAG Heuer and Longines. 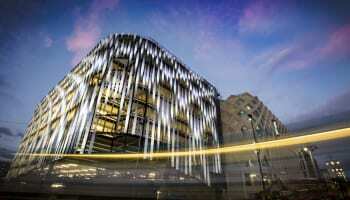 Beaverbrooks, Fraser Hart, Ernest Jones Goldsmiths and H.Samuel also have sizeable stores in Westfield. Bucherer stands out thanks in part to its unrivaled line up of key Swiss watch brands, which includes Rolex, Cartier and Omega, but mainly for its scale and sumptuous interior and exterior design. Its location within the Village puts it in a cluster of luxury boutiques including Tiffany, Jimmy Choo, Louis Vuitton, Gucci and Prada. The opening of John Lewis at the opposite end of the shopping centre may affect footfall in the Village, which could explain why TAG Heuer and Breitling are moving in that direction, but if Bucherer wants to be the most luxurious Swiss watch destination boutique in Westfield, its location is ideal. 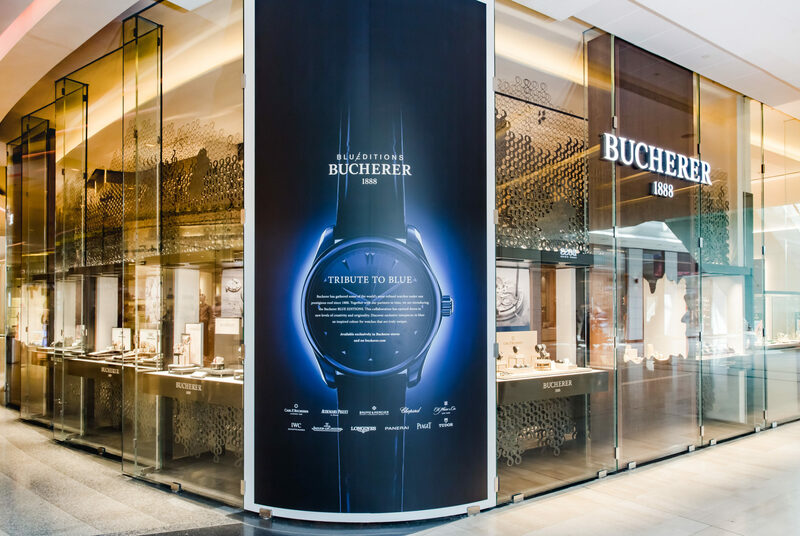 The outside of the store is floor to ceiling glass, apart from a curved corner where Bucherer is advertising the exclusive Blue Collection watches that it stocks. I expect the store would have wanted its entrance to on this corner, but a structural column makes that impossible. The windows display watches on a single level, with brands including IWC, Jaeger-LeCoultre, Hublot and Rolex given prime positions. 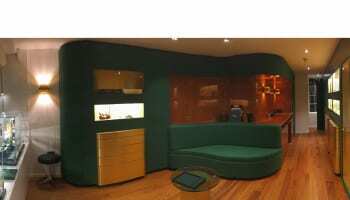 Rolex, which has its own boutique within the store, also owns about one-third of the glass frontage. Inside, the first thing customers see is a three-sided table-height presentation area for Bucherer’s exclusive jewellery. 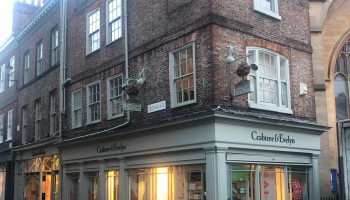 This is one of the biggest developments for the company’s UK operation since it acquired The Watch Gallery, which did not stock any jewellery. 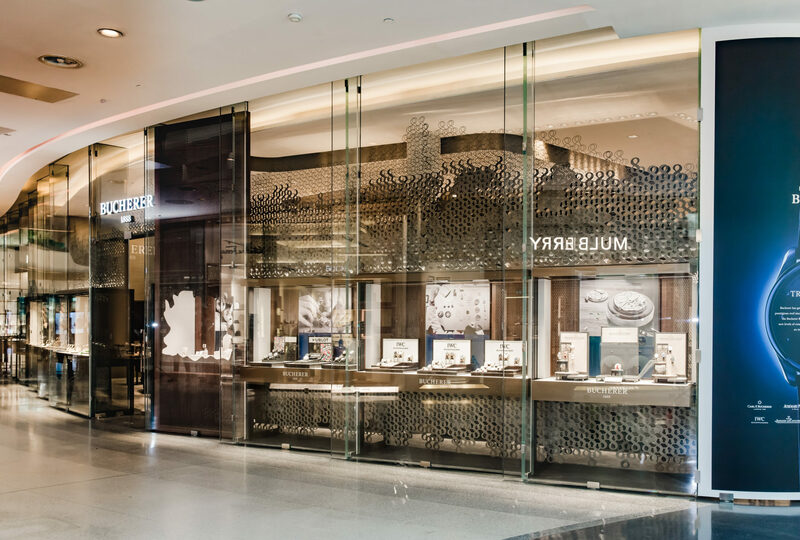 Surrounding the jewellery counters are identical art-deco bronze coloured cabinets displaying watches from Bremont, Carl F. Bucherer, Hublot, IWC Schaffhausen, Jaeger LeCoultre, Junghans, Longines and Tag Heuer. 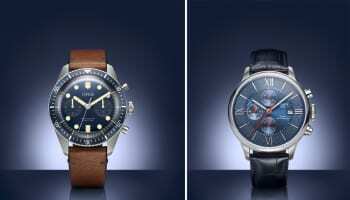 Each brand has a poster site displaying a key watch, but Bucherer has managed to avoid being forced to use each brand’s furniture, which so often detracts from the luxurious feel of a more coherent store. Bucherer itself is very much the star here. The whole window side of the store is decorated with a sculptured backdrop where bronze-coloured figures of 8 make up a scene that store manager Christine Borg-Mirza explains is a silhouette of the mountains that sit behind the company’s home of Lucerne as if viewed from Lake Lucerne. The figure 8 is a reference to 1888, the year of its foundation. 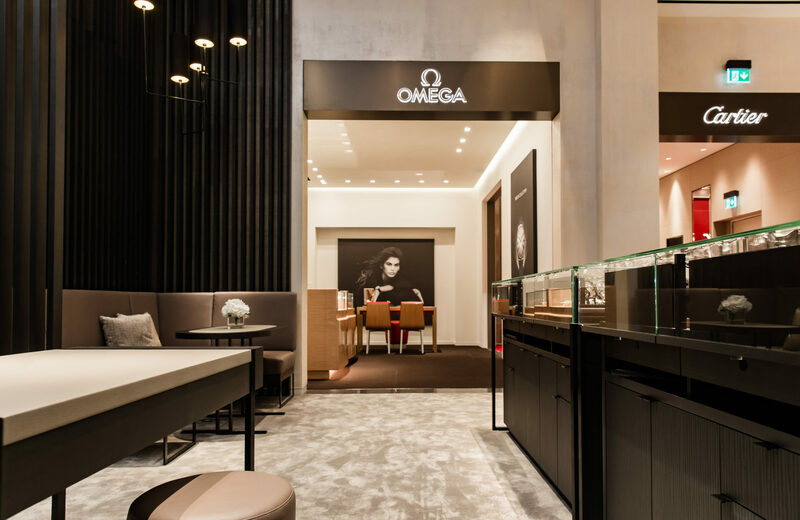 As well as the large Rolex boutique, there are also shop in shops for Omega and Cartier, all three of which have their own branded furniture and styling. These are the only private areas for client consultations, although there is also a quiet corner where customers can sit for more private conversations. I expect Bucherer would have liked more of these discrete meeting spaces, but this is a shopping centre shop so space is a costly commodity. 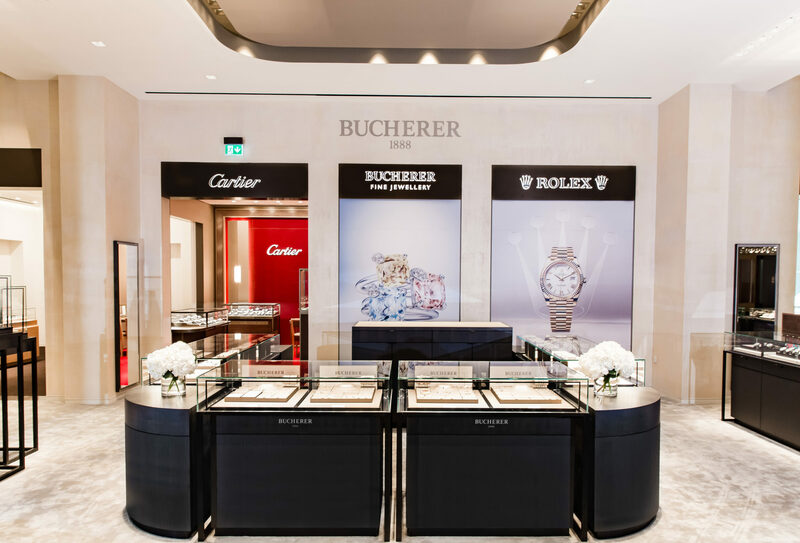 Bucherer is following a wider market trend of increasing the size of its stores, which allows it to include branded shop in shops and carry big enough selections of watches in its multi-brand areas to give customers a wide choice of models. Bucherer knows it is not a household name in the UK, and it needs to build a brand reputation to rival Mappin & Webb, its closest direct competitor. 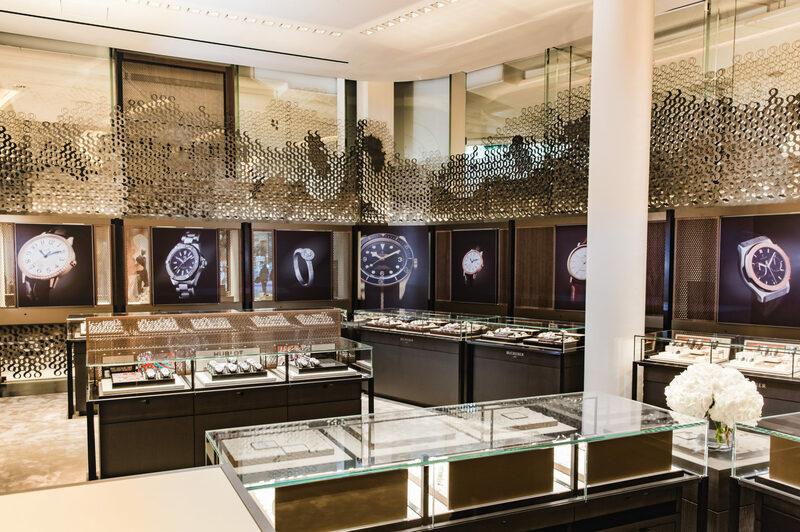 The presentation of the Bucherer brand, in this regard, is intelligent and beautifully executed at this impressive extended store.